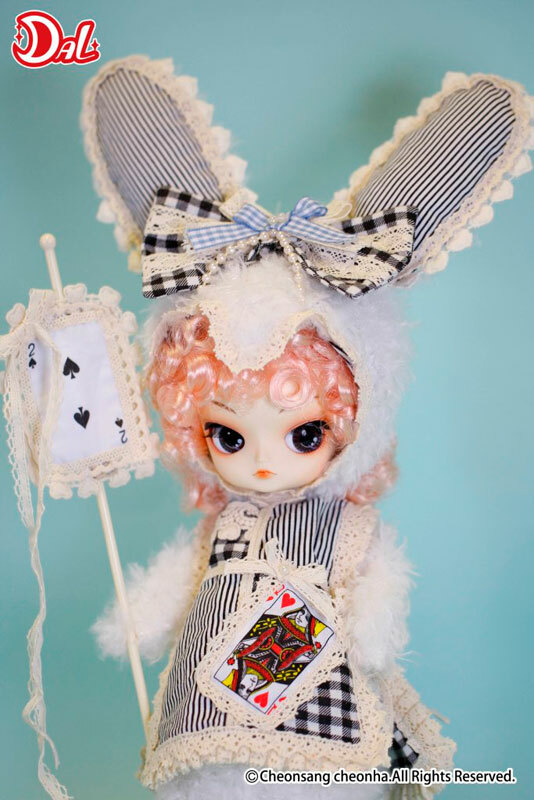 Dal Romantic Rabbit was a part of the Romantic Alice series alongside Pullip Romantic Alice, Pullip Romantic Alice Pink version, Isul Romantic King, Byul Romantic Queen & Taeyang Romantic Mad Hatter. 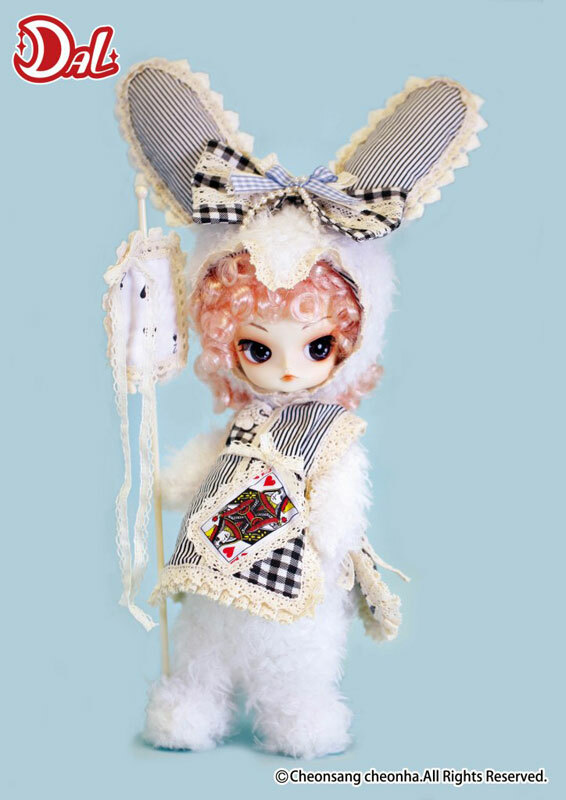 Dal Romantic Rabbit was released in October of 2011 alongside Pullip Yomi, Taeyang AMA & Isul Romantic King. 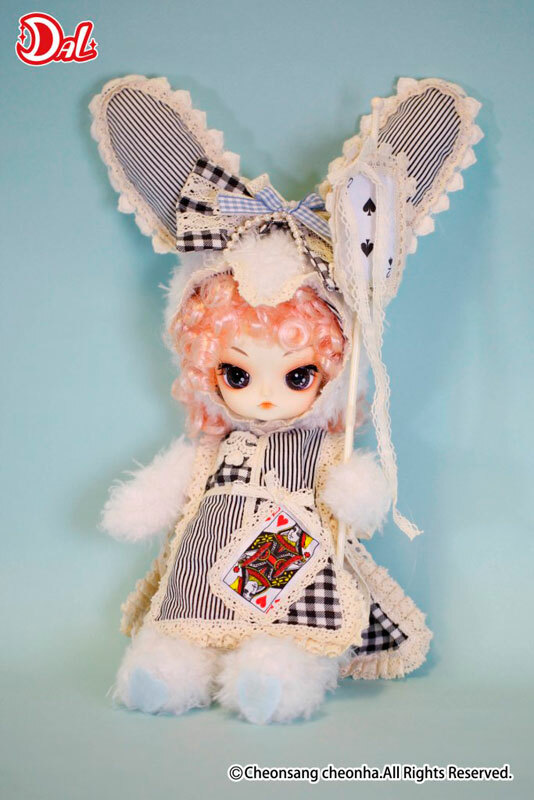 A Little Dal + based on Dal Romantic White Rabbit was later released in June of 2013. 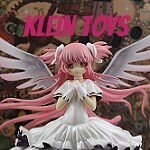 Feel Like So: HURRY, HURRY!! I am going to be late! Have to hurry and return to Wonderland!! If the Queen get mad… It’s Scary!!!! 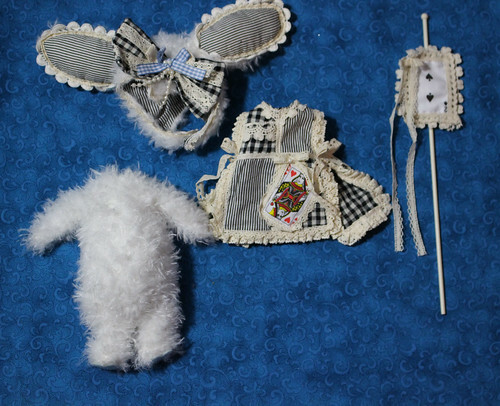 Stock: Dal Romantic Rabbit’s stock consists of a rabbit hood, rabbit bodysuit, card smock and a card staff. Special Notes: A Little Dal+ version of Dal Romantic Rabbit was later released. 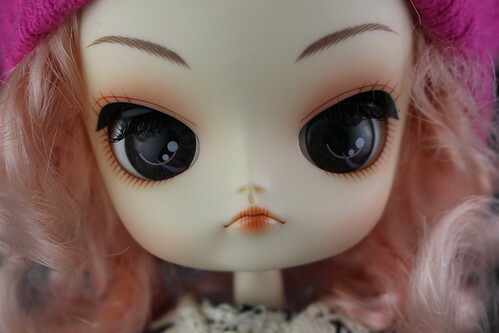 Pictured with Byul Romantic Queen, Isul Romantic King, Pullip Romantic Alice & Taeyang Mad Hatter.